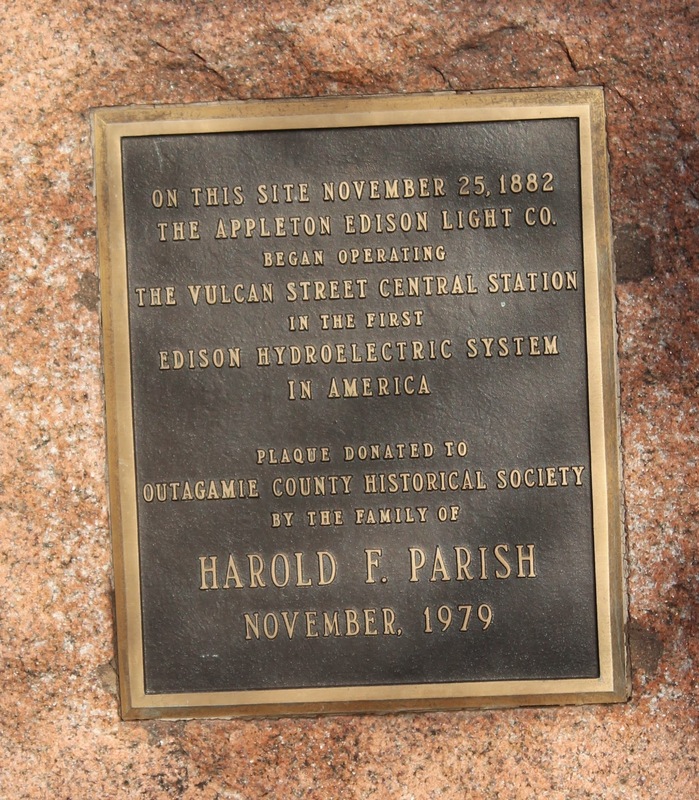 the Appleton Edison Light Co. The Vulcan Street Plant is located on the east bank of the Fox River, at the intersection of South Vulcan Street and North Island Street, Appleton, Wisconsin 54915. With the Vulcan Street Central Station (exact replica) to the left. The Vulcan Street Central Station is adjacent to Neenah Paper. The marker is located at the end of this street (South Vulcan Street).